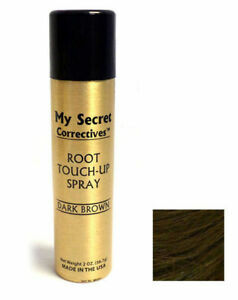 Root Touch-up Spray A Must Have! I have been using this product for two years. Love it! Great for covering the gray hair in between root touch-ups! Easy to use. It works better than the brush-on powder. I would highly recommend this product. My daughter and I love this product for touch ups. Looks natural, can comb through it,, and washes right out when you're ready to. Look your best everyday. Fabulous product I recommend.